Get to know one of our awesome Team Members, Mandy Welch! We have an amazing, dedicated and talented team of moms here at FIT4MOM LSBWK NoVa, and we want you to get to know a little more about each one of them. So for August, we'll put the spotlight on Mandy Welch, Play Group Captain for our Springfield/Kingstowne Village. 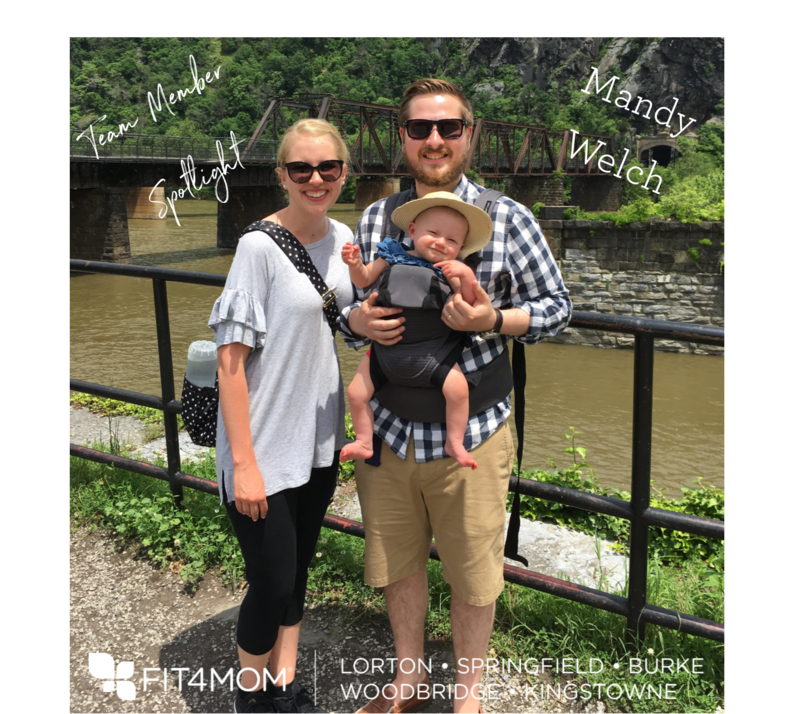 Read on to get to know more about Katie and her time with FIT4MOM LSBWK NoVa. I have lived here 1 year. 3. What location is your Playgroup located? 4. Tell us your story about how/why you became a Play Group Captain for Fit4Mom LSBW NoVa. I became PGC because I wanted to help grow the tribe in which has helped me so much throughout this journey of motherhood. 5. What is your favorite class to take? My favorite class to take is Stroller Strides! 6. What is the BEST thing about being a Play Group Captain? I always say fit4mom saved me. Being a new mom was really difficult and the adjustment was not easy. I stumbled across fit4mom and ever since then I have been a firm believer of their mission. The overwhelming support and kindness I have been shown amongst the group is why I keep doing what I do. If I can show one other new mom the same support I was shown and get her through those earliest months, I would consider being a PGC a success. My current wellness goal is to try and be able to run a mile. I don’t think I have ran one since middle school PE so I would like to be able to. I would love to go cage diving with great white sharks.